Summary: The Tour of the Black Country is a 100-mile event inspired by the Queen of the Classics, Paris-Roubaix. It includes nineteen unpaved gravel and cobbled sectors, varying in length from 600m to 4000m, all of which are passable on a standard road bike. Each sector is rated according to difficulty; one star being the most straightforward, five stars being the most difficult. The five-star sectors include the ‘Waltonberg’ cobbled climb and the epic 4km-long Glasshampton Monastery sector. The route finishes, as does Paris-Roubaix, on a large outdoor velodrome, at Aldersley Stadium. The roads of the Tour of the Black Country are mostly traffic-free, and the majority of the unpaved sectors are closed to all traffic. There will also be an option to ride a 100km (62-mile) version of route. The event will have a French theme, with a variety of French foods, coffee and a glass of Champagne for every finisher. In addition, everyone who completes the course will be presented with a lump of top-quality Black Country coal, mined from the ground under the very same roads that the route follows. For 2017 the route has been significantly revised. The full distance is now 100 miles, and includes four spectacular new off-road sectors: Abberley Hall, Witley Court (both 4 stars), and the epic Glasshampton Monastery and Clent sectors (both 5 stars). 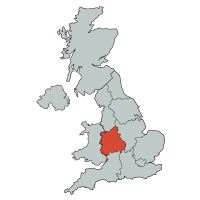 The Tour of the Black Country is one of the most unique, challenging and exciting events in Britain.